What a fun pattern with so many options! Color can change a design in so many ways. I love paper piecing too! The way you used the fabrics in your piecing makes these blocks look so much more complicated; beautiful! It’s gorgeous! Love how you fussy cut your pieces! 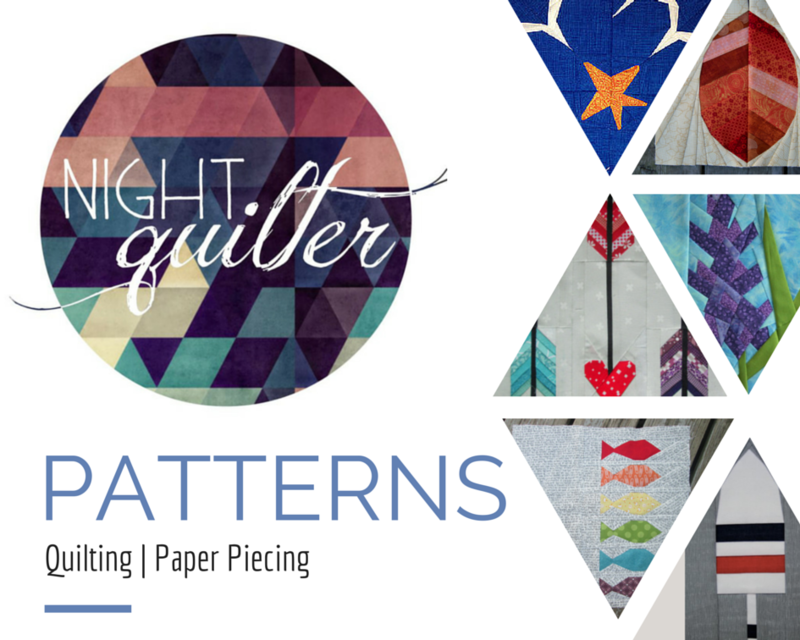 The design looks perfect for fussy cut piecing. Good idea to include “help cutting tools”. And I like the original pattern version the best. This pattern is awesome! I love how you used the printed fabric so that parts of the quilt top look pieced even though it is a single fabric. Beautiful design! I love it! There’s so much possibility with this pattern, the options are as endless as the fabrics to choose from I feel like. 🙂 Awesome job! It is so pretty! Lots of design possibilities by mixing and moving colours. This design reminds me of those kaleidoscopes that I had as a kid, where you’d twist the base and get an entirely new pattern. Your clever cutting of the fabric really makes it look much more complicated than it is. Great pattern… and the fussy cutting only makes it better! It’s one of my favorite things to do on a paper pieced block. Wishing you a lot of sucess with pattern writing… the next step for me too!